Here it is! 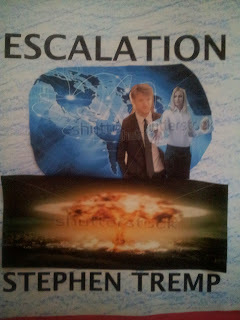 The cover release for ESCALATION. My nephew, Jeremy Tremp who also did the cover art for Breakthrough and Opening, put this awesome cover together. Thanks Jeremy. I couldn’t be happier. And thanks to everyone helping this week with the cover art. You’re all awesome! The Book: I hope to have everything wrapped up with the book by Halloween. Editing. Formatting. Uploading to Kindle and CreateSpace. I had planned for a Summer release but this has been a weird crazy year for me. So I’ll be really thankful just to finish the book. I have to say Escalation is the crown jewel of the Breakthrough series. Many trilogies start with a bang then trail off as the story continues. 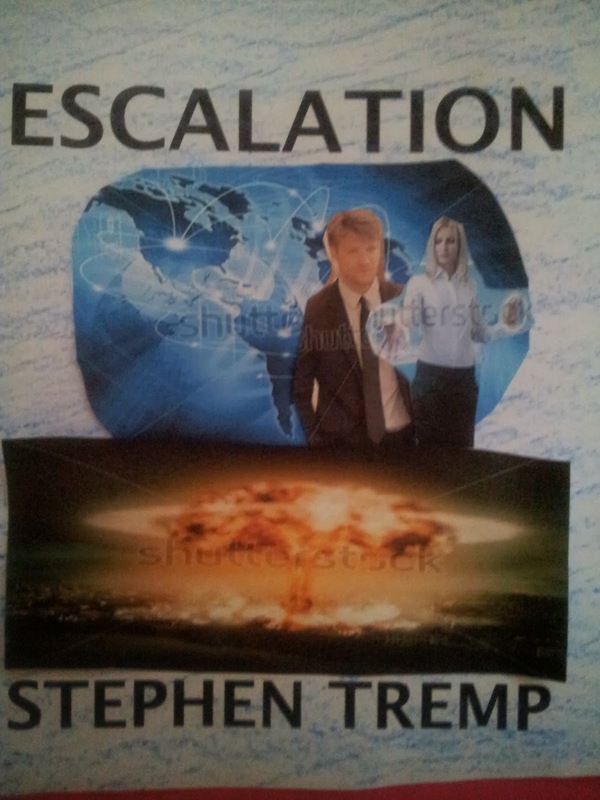 But Escalation is going to be amazing! 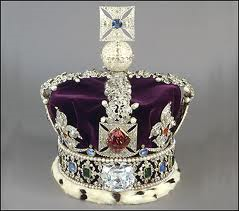 And thanks to my editor Marvin Wilson who is helping turn this diamond in a rough into a polished gem of a book. Folks, it’s really going to rock! I’ll have more insights into Escalation on Wednesday’s post! Haunting October Celebration: Today I’m over at Yolanda Defending The Pen as part of her October BWAHAHAHA Halloween Interviews. I’m answering really fun questions like if I’m in a horror movie how would I die. I’ve never thought of that. But that’s what makes this so much fun. Thanks Yolanda for hosting me. I love this time of year. This is when the best Blogfests happen. Angela Brown: author of Neverlove (Shadow Jumpers) had her first book signing and has an awesome setup. 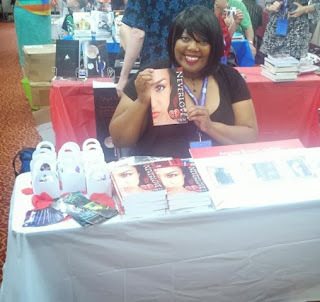 She has flyers, bookmarks, what appears to be grab bags, and a smile a mile wide. Congrats! Angela. 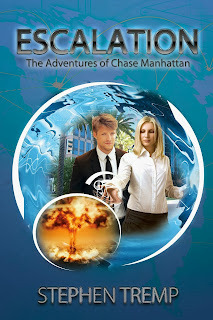 Writers4Writers: This month Alex Cavanaugh and Isis Rushdan are the writers we will promote. Check out the W4WS tab if you want to sign up and be promoted through this awesome group of writers and bloggers! Looking forward to ESCALATION. The first two books were excellent and I have no doubt that this will be the crowning achievement of the series. My announcement for the book will be in my post tomorrow. My post with the cover goes live early tomorrow morning! Look at that smile on Angela's face. She rocks. And I'm sharing the W4WS with Isis? Now that is awesome!! I feel the same way about the ending of my series. I sent it out with a bang and it was the best book I could possibly write. And thank you Alex for all your support along the way! You are the Captain Ninja! Very exciting, Stephen. And kind of sad when a series ends. Love the cover, BTW. Hey Stephen! 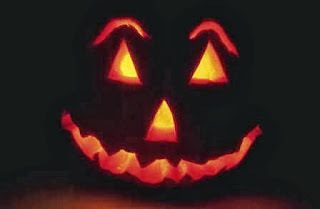 Yup, your Halloween horrors are live and ready for viewing! Thanks for being such a good sport! Congratulations on your cover reveal, and for finishing an awesome series! Looking forward to doing the same one day soon! There are many talented writers here on line, I wish you well with your book, Will look out for it. Congrats on your awesome cover. And it sounds like a great story. I've got your great cover up on my blog, too. Congratulations. Thanks everyone for stopping by and giving your support! I appreciate your help with getting the good word out! Congrats on your final novel in your trilogy.... Glad you're having a bang up time! Off to Yolanda's to check out your interview! Congratulations, Stephen! This trilogy sounds so amazing and you deserve all the success in the world for it! I'm so happy to play a small part in getting the word out. Happy release day! And now I'm off to Yolanda's! Jeremy did another amazing job. I love seeing you concept art too. Wow, you have a big push for Halloween! You can do it! The interview at Yolanda's was a lot of fun and a great way to kick off the fall season. I hope you all stop by and say hello! Congrats Stephen! Woo hooo on #3! You're up at The Write Game on the 11th! Very exciting time for you and so glad to be a part of your launch. Angela looks gorgeous at her signing! Congrats Stephen!! And what a cute pic of Angela! Terrific cover, Stephen. Sounds like major action in this final installment. There are couple of really epic battles that would make for an amazing movie. I can easily see this book becoming a movie with special effects and all. Have to think big and keep pressing forward! Congrats on the final instalement of your trilogy. It sounds epic! Whoa! This might be my favorite cover from the trilogy. Your nephew's talented. Jeremy did all three covers. I'm very happy with his work. But yeah, I think this is the best of the three. Your nephew really did do a nice job! Great concept and skillful execution! Congratulations! Great cover! Congrats and best of luck to you on #3! That's an awesome cover! Best of luck with your new novel. I love the cover too. Your nephew did a good job. Congrats on the trilogy. The cover art is just one milestone along the way. Now to get everything finished by the end of the month. I can do it! Congrats Stephen!!! What a great cover-I have the other two issues and this is a must~ You rock! Very nice job on the cover! I'm really looking forward to the release! I've been seeing your cover everywhere Stephen!! It's awesome! Great cover and loved your answers at Yolanda's! That is the coolest that your nephew did the covers! Love your enthusiasm for this third installment---it's really awesome when it can end with a bigger bang than how it began. Good luck with all that formatting & such! Congrats, Stephen! What a great cover! Thanks everyone for all the positive and uplifting comments! This is good fuel to launch me forward while finishing up the MS.
CONGRATS on your cover release. Your nephew did a great job on it. Congrats on Escalation. Great cover! That's an awesome cover! Congrats on a fine finish to your series!! !